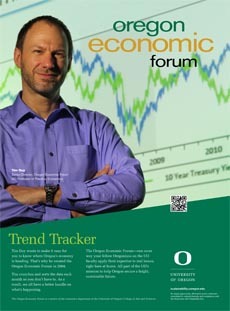 The July employment report provides additional evidence to support the Fed’s campaign to tighten policy rates. 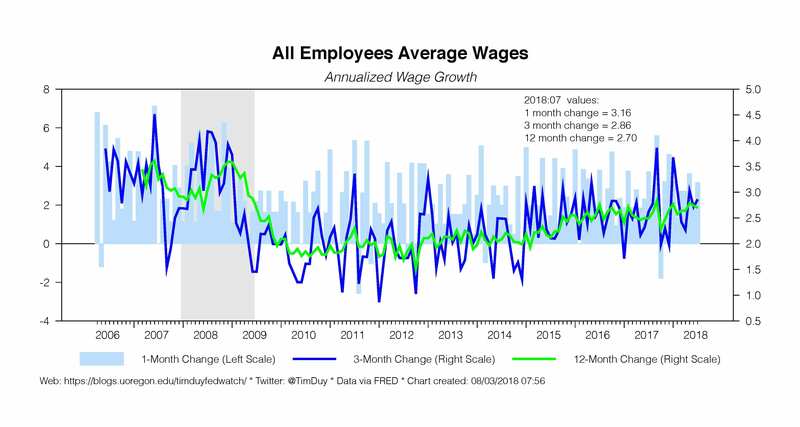 At the same time, subdued wage growth indicates that despite anecdotal evidence of rising salaries amid hiring challenges, the labor market has yet to overheat. That lack overheating allows the Fed to continue to tighten gradually; they have little reason to justify accelerating the pace of hikes at this time. 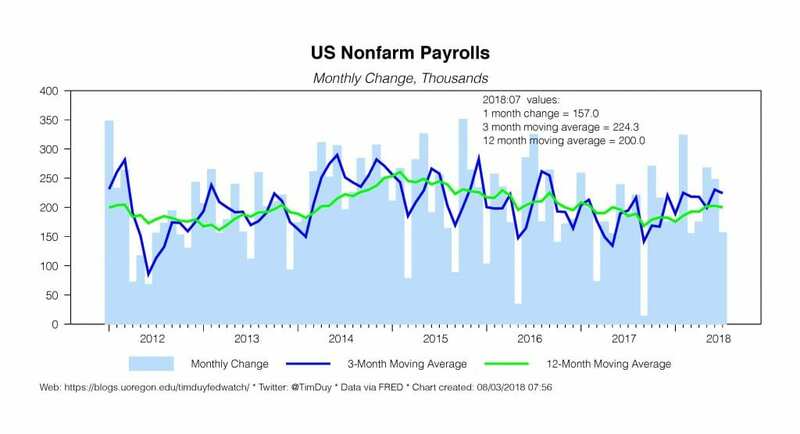 Nonfarm payrolls grew by 157k in July, somewhat below consensus expectations. Previous months, however, were revised higher, leaving the three-month average at a healthy 224k. This rate of growth exceeds the rate the Fed believes is necessary over the longer-run to hold the unemployment rate constant over time, around 100k jobs per month. Still, this is not necessarily a speed limit in the near term when cyclical factors might dominate the demographic trends. Indeed, an uptick in labor force growth in recent months slowed the declines of the unemployment rate. That rate edged down to 3.9% in July, a bit higher than the cycle low of 3.8% in May. Wage growth has been improving over the past few years, but that improvement occurs at a glacial pace. Mediocre wage growth indicates there remains room to squeeze labor markets further, hence the Fed will be in no rush to push policy rates to a neutral level, let along push rates even higher in an effort to slow economic activity. Steady as she goes at 25 basis points a quarter for this year and likely into next. 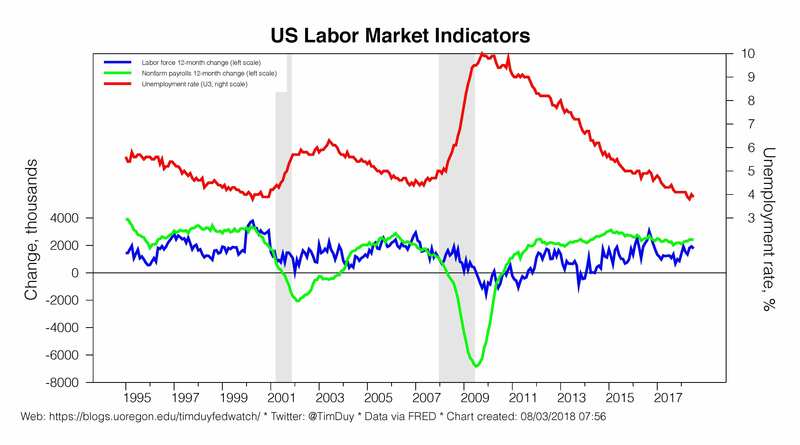 To be sure, the employment report is a backwards looking indicator. 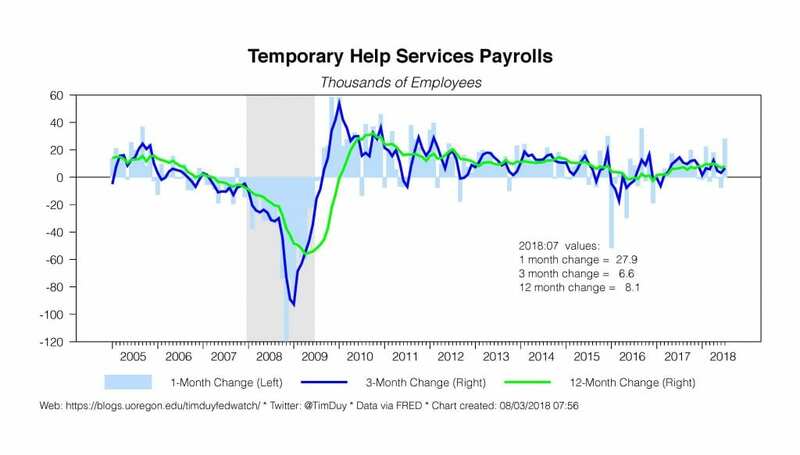 But continuing low levels of initial unemployment claims coupled with ongoing growth in temporary help payrolls gives us little reason to expect anything but continued job growth in the months ahead. Powell & Co. will likely find they need to calibrate policy a bit more carefully before too much longer. They can afford to be on something like autopilot of hiking 25 basis points per quarter when policy rates are well below neural and the economy shows few signs of overheating. Once rates are closer to neutral, they will likely want to move a bit more cautiously (assuming inflationary pressures continued to remain subdued). To be sure, the economy might break on either side of the current Goldilocks dynamic, forcing central bankers to adjust policy accordingly. For now, however, the best bet remains that they will keep pushing rates higher with hikes in September, December, and probably March before economic conditions change markedly. 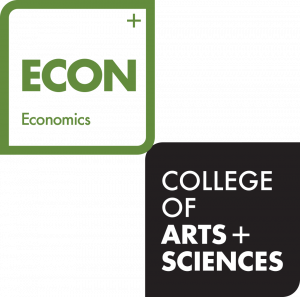 Bottom Line: As the economy heads deeper in the second half of the year, the employment report falls in line with the general data flow and points toward a continuation of the current path of monetary policy.